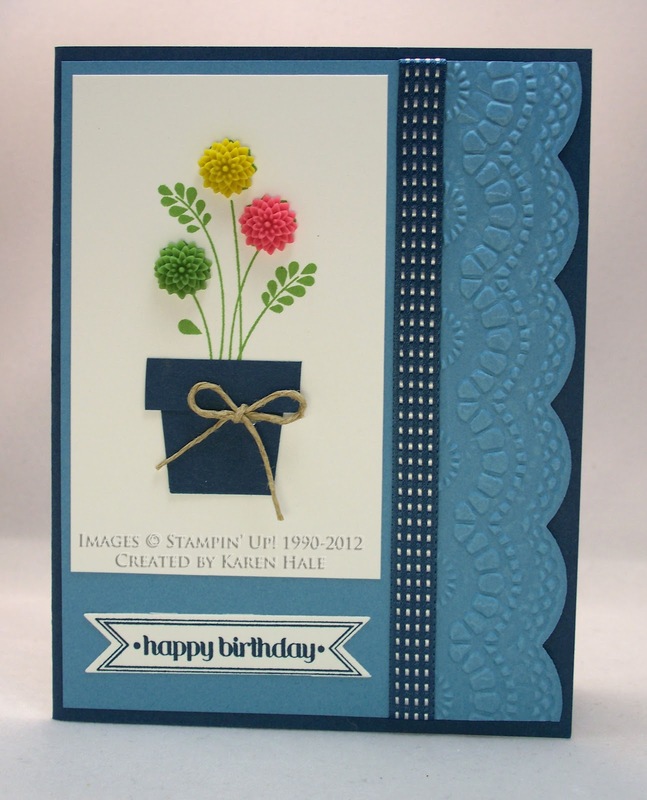 Karen Hale designed this card for the make and take project at our demonstrator meeting. It features many items in the new Stampin' Up! catalog including the coordinating Delicate Designs embossing folder and the Large Scallop Edgelit. You can check out all of Stampin' Up! 's Die-Cutting Products here. 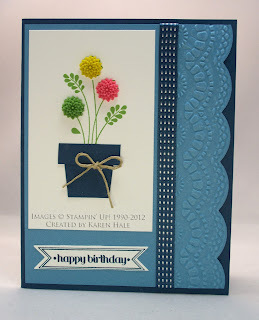 The new dahlias fit this image from the Embellished Events stamp set perfectly. And the base of the flower pot is from the cupcake builder punch! Many thanks to Karen for creating such a cute card for our make and take!